PopCultureCast: What is the most ICONIC Godzilla To YOU? I need the community's help on this one. I'm trying to figure out which version of Godzilla is the definitive version. As fans, we've all jumped on board during different eras. To some, the '54 version may be the iconic image that immediately springs to mind when you hear the name Godzilla. To others, it could be one from the 80's or 90's. It could also be one of the American versions. 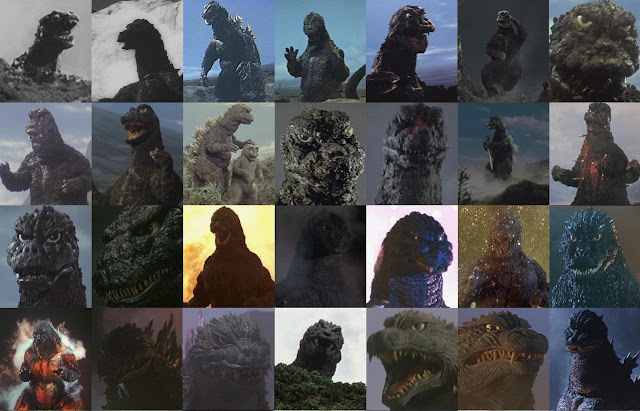 I'm trying to find out which variation is the definitive version that fans think of when thinking of Godzilla. To answer this question, I've created a poll featuring every Godzilla movie (as well as an add your own spot). Simply pick the movie that contains your ideal mental image of Godzilla. Don't just pick your favorite movie. Pick which movie contains that version of Godzilla that's ideal to YOU! I'll leave the poll up for a week and when all results are tallied, we'll hopefully have an idea of what pops into people's heads when they think of our favorite movie monster. Please share this poll among any Godzilla or Giant Movie Monster communities that you may be involved with. The more people that participate, the more accurate the results will be. To vote, simply follow this link to a Google Form. Thanks for your help, and happy voting!